The Bible says this is the place where Joshua parcelled out the promised land to the 12 tribes of Israel. It’s also where the tabernacle of the Lord stood for more than 300 years. That “image” includes a fortified wall built by the Canaanites. 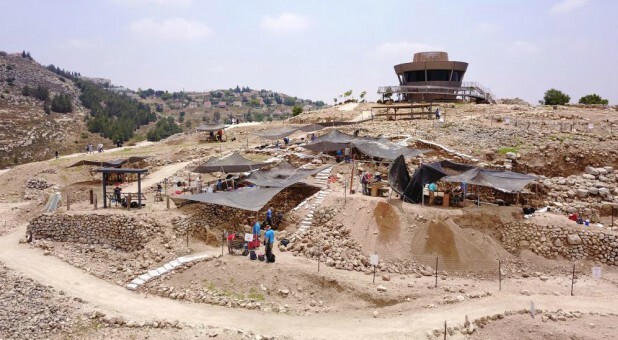 The team finds a treasure trove of artefacts there, which includes ancient coins and some 2,000 pieces of pottery a day.